Have you been charged with an offense such as harassment, aggravated harassment, or aggravated disorderly conduct in the NYC metro area? Do your concerns include keeping your record clean and avoiding harsh penalties, protecting your freedom and livelihood? Please take this charge seriously and get experienced legal counsel. 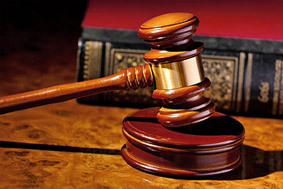 Are You Determined to Avoid a Guilty Plea and Criminal Record? Our violent crimes lawyers know from deep experience in the justice system that harassment charges are filed for a vast range of conduct — and that some charges are justified while others can be overcome entirely through solid legal representation. We want to hear your story and help protect your future. If we can take care of the matter efficiently and achieve your critical goals, we will; if it takes a trial, we will be ready. As necessary, we can adeptly cast doubt on witness testimony, attack unlawful conduct during your arrest, or show other evidence to help you avoid conviction or receive reasonable consequences. Our New York City harassment defense attorneys will provide honest counsel and a thorough effort to spell out your legal options. Having prosecuted a vast range of criminal cases and reached positions of authority in Kings County in the past, we know how cases are built and when they are weak. In negotiations or at trial, you will be represented with drive and integrity.